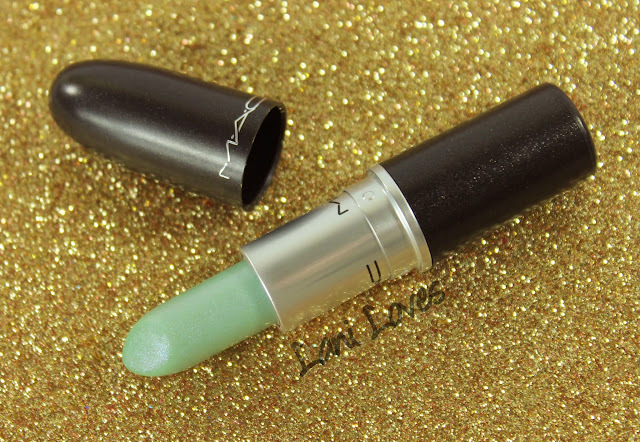 I'm having a total moment with aqua and green sparkles in lipstick at the moment, fuelled by my ongoing venture into MAC's archives, so what better time to take a look at this standout shade from the 2011 Fashion Flower collection, Summer Shower? When Fashion Flower was announced I remember being so excited that Ever Hip was being repromoted with it. I'd missed it when it first came out in the Give Me Liberty of London collection the year prior, despite my best efforts calling around different MAC counters in Auckland and had been thoroughly annoyed. When the collection actually released though, MAC lovers howled their betrayal to the skies - Ever Hip was a different colour to the original release. 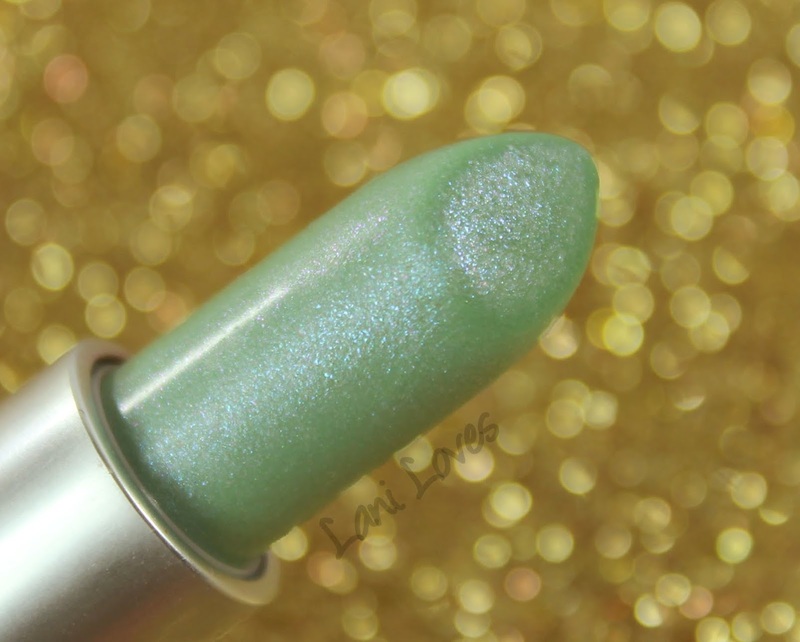 I skipped the collection in my ire, briefly glancing at Summer Shower before musing "what would I do with an aqua lipstick?!" Where was my imagination? 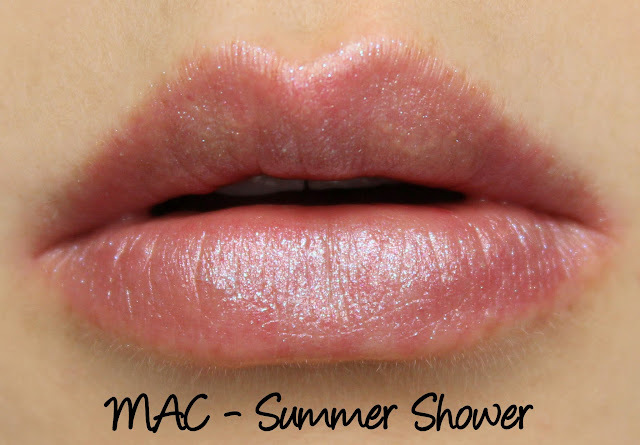 Summer Shower isn't just any aqua lipstick, it's one of MAC's Glaze lipsticks: sheer and ultra sparkly. There's heavy blue to pink shimmer in a barely tinted base, muting the natural redness of your lip colour and providing an ethereal glow. That duochrome sheen will come out to play even more over a darker base - over a deep purple would be amazing! There are so many layering options with a shade like this. 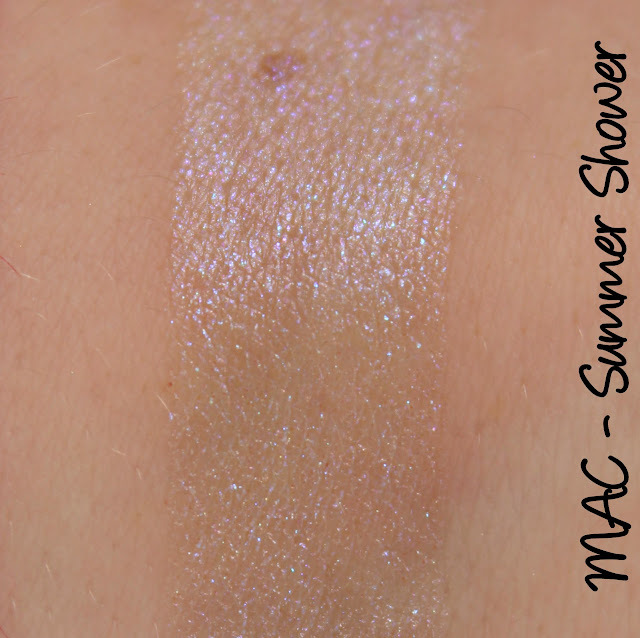 Summer Shower's official description from MAC is 'light aqua' but as I described above, that doesn't even begin to cover it! It lasted a bit under five hours on me with a lot of sparkle left behind. 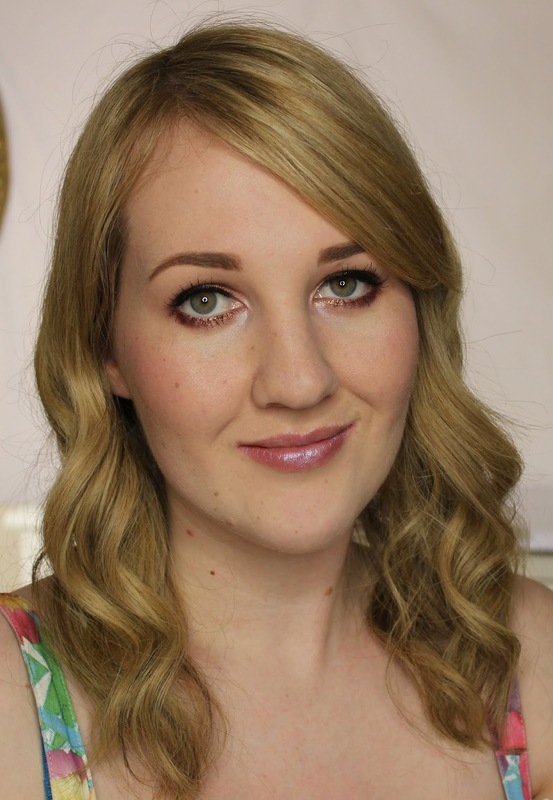 There were no stray sparkles escaping my lip line and the formula was neither hydrating nor drying. What do you think of Summer Shower? Would you wear it?